Last year in September 2015 the Centre for Quantum Photonics (CQP), received an email from the European Commission (EC) inviting them to nominate a Marie Sklodowska-Curie fellow for a limited number of places to participate at the 66th Lindau Physics Nobel Laureate meeting. I was nominated by Jeremy O’Brien and Mark Thompson as an experienced researcher under the Marie-Curie ITN in Photonic Integrated Compound Quantum Encoding (PICQUE) project directed by Fabio Sciarrino (Uni Roma). The selection process was two-fold, after my nomination by CQP1 I submitted my supporting application to the EC and by the end of October first evaluations were positive. The EC forwarded my application to the Lindau Nobel meeting selection committee and on the 1st of March 2016, I was emailed by the Lindau committee to confirm that my application was successful. 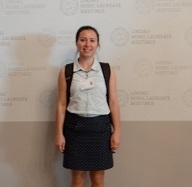 I was one of 400 applicants from over 80 different countries to attend the 66th Physics Nobel Laureate meeting in Lindau with ~30 distinguished laureates. Three of the participants were current and/or former CQP members which was a great achievement for CQP2. When I received the news, I was aware that it was a great achievement, however I didn't fully understand the significance of being one of the participants until the end of the week when I left. The meeting was nothing similar to any conferences or events that I have ever been to. 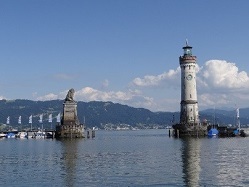 Countess Bernadotte emphasised from the very first day at her opening speech that “Lindau spirit” is only accessible by physically being there. That became clearer to me every day and by the end of the week I understood what she meant. For me, it was the inspiration of the Nobel Laureates; being with them and talking to them during discussion sessions. And the city, which has seen many Nobel Laureates, signs of which you could see as soon as you left the train station. Picture 2: The street sign in front of train station reads Alfred Nobel Plats (Alfred Nobel plaza) and no entry sign with exceptions to bike and Nobel Laureates. ﻿﻿﻿Science discussions weren't just for the Nobel Laureates but also the young scientists too. Everyone was keen to exchange knowledge and culture, and make new friends and collaborations with other attendees. The meeting was more than a scientific conference, it was 400 young scientists dining together, going to the same lectures and participating in multiple social events. Events, such as science breakfast and Bavarian dinner, were the perfect occasions for networking. If the aim of the meeting was to transfer the knowledge and the enthusiasm of Nobel Laureates then it definitely achieved that and more. Each science day, of which there were four in total, began with a science breakfast that we had either chosen in advance or were assigned according to our, or our sponsors', field of interest. Only a small portion of the participation cost is covered by our nominator, in my case that was the EC and the rest was covered by a variety of industrial and government sponsors. My first science breakfast was on Monday, hosted by one of the partners, the Austrian Federal Ministry of Science, Research and Economy. The topic was Quantum Information: From fundamentals to a New Technology. Emphasis was mostly on encouraging fundamental science so curiosity driven research will continue. The rest of the day involved talks from Hiroshi Amano, Takaaki Kajita, David J Gross, Carlo Rubbia, Martinus JG Veltman and Arthur B McDonald. 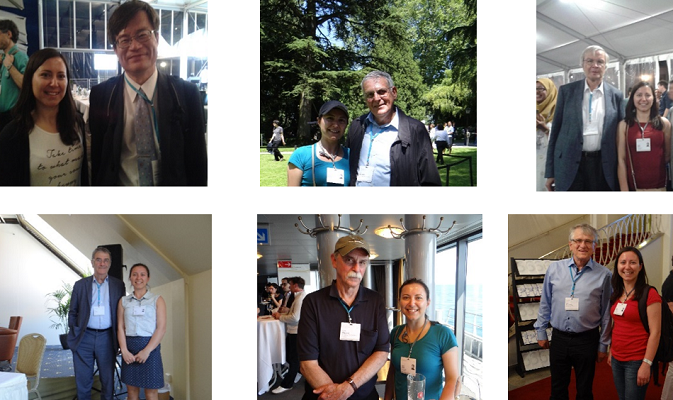 It covered a broad range of topics from material science to high energy and particle physics. 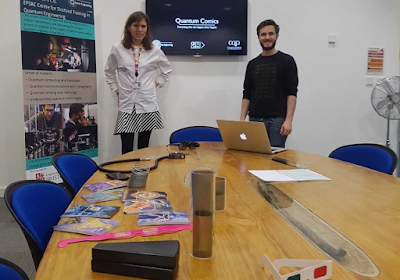 In the afternoon there was a panel on “Glimpses Beyond the Standard Model” in which some scientists from CERN (ATLAS, CMS and experiments) also participated through a video conference call. They gave an update on the experiments, and explained that they had achieved the planned strong luminosity (13 TeV) and are searching data for signature of heavy super-symmetric particles. Someone asked CERN what the 750 GeV signal meant in the recent experiments but they were unwilling to reveal anything (at 30:21 minutes. 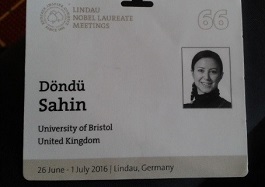 )The day ended with a wrap up discussion session from the morning's Nobel Laureates speakers. On the second day, the science breakfast was about Excellence in Science and Sports hosted by Rolex. 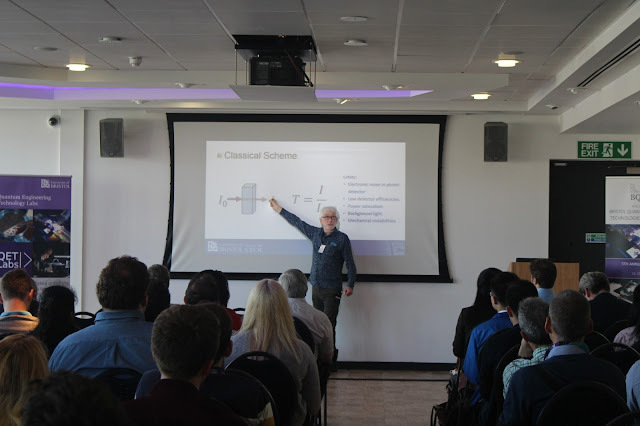 The morning lectures were more focussed and we listened to two Laureates who spoke about how and why they received their prizes in 2012 for their independent experiments on measuring and manipulating individual quantum systems. (Yes, I am talking about Serge Haroche and David Wineland -you can find their lectures here!) Theodor W Hänsch talked about light matter interaction and atom trapper William D Philips and Klaus von Klitzing and Gerardus ‘t Hooft were the last peakers before the afternoon discussion sessions. Klaus von Klitzing was as generous as always with his Nobel medal and brought it along so that we could hold it - this was my second time! Picture 3: Nobel medal of Klaus von Klitzing. Left picture shows a side with Alfred Nobel with his birth and death years (right, roman numerals), and on the right picture hopefully you can read von Klitzing’s name on other side of the medal. The third scientific breakfast organised by Mars Inc, was on Why does soft matter, matter? Talks were on gravitational waves by George F Smooth, followed by microscopy and biophysics talks by Samuel Ting, Kurt Wüthrich, Steven Chu, Hartmut Michel, Johann Deisenhofer and Robert Huber. At the end of the day, there were master classes chaired by one Nobel Laureate and 3-4 young scientists who discussed their research. I also attended the Quantum Information and Quantum Measurement session chaired by David J Wineland and we had a lecture from Vinton G Cerf (ACM AM Turing Award recipient in 2004, and also one of the “Fathers of the Internet”) on The Origins and Evolution of the Internet. The last science day breakfast was hosted by McKinsey&Company Inc, on Decoding Science Leadership. 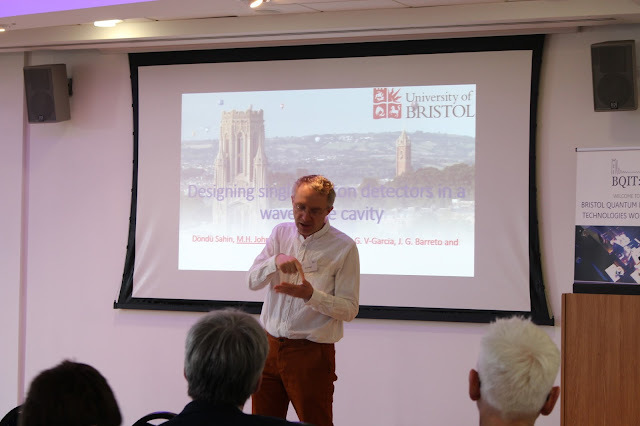 Widespread topics were covered by the first two speakers, Stefan W Hell and Dan Shechtman, who talked about optical microscopy and the science of soap bubbles. Afterwards there were more biophysics lectures by Ada E Yonath and Martin Karplus. The morning talks ended with a lecture on the scientific approach to teaching physics by Carl E Wieman, a state of universe talk by Brian P Schmidt and a talk on the recollection of Las Alamos and the nuclear era by Roy J Glauber. The afternoon session started with a panel discussion on Quantum Technology, namely Is Quantum Technology the Future of the 21st Century? The message was yes, there are already quantum technologies in use (such as atomic clocks) and it was unanimously agreed that this is an important task for this century. It was decided that the closest applications were in quantum sensing and it was agreed that big scale technologies, such as quantum computers will be difficult tasks to build. William D Philips said that it is important that we don’t decide on a single platform too quickly. Everybody’s contribution is important as a final platform for a quantum computer may well be a coupling of two or more ideas. I personally believe photons are precious particles for coupling but as Philips’ later discussions suggested, we do not know much about coupling two different platforms yet. This was the end of the scientific days and the last day was a gateway to another nearby island, Mainau, where we had a panel discussion on The future of education in science. It was interesting to hear that in Israel, Dan Shechtman has initiated a programme for preschool kids to start talking about science. It is not so they understand the world as it is but is a good way to make kids look at everyday events from a different perspective and excite and interest them in STEM at an early age. Brian P Schmidt mentioned that he lost one of his favourite students as she found the University system to be un-collaborative while private companies provided better infrastructures to help develop new partnerships. Carl E Wieman is a keen advocate of science education and he discussed his research findings on science education and their efforts in changing the curriculum to make it more engaging for young people. I am sure I could write another few pages at least but I think it is time to stop here. 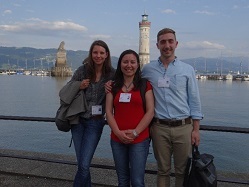 If you are reading this blog as a potential participant of the Lindau meeting, please get in touch. As a Lindau alumnus I would be very pleased to help with any process. You can find all the lectures by Laureates and panel discussions at the 66th Lindau Physics Nobel Laureate meeting here. 1. It seems every country has different procedure for the application process but this was my personal experience from University of Bristol, here in the UK. 2. You can find more details on the meeting following this link where they also explain in details application and the selection process.